Continuing education for nurses is required for licensure in thirty-two states including the District of Columbia for RNs and LP/VNs. The specifics of the requirements can change and do vary from state to state and are available by contacting the Board of Nursing in each state. Use this resource as the most up-to-date source of information. Find your state board of nursing information at the National Council of State Boards of Nursing (NCSBN). What happens if the continuing education requirement is not met prior to license renewal? Payment for the license renewal must be made timely or there will be fines/late fees assessed. There is NO grace period, nor any extension allowed. Most states offer an option to renew as Inactive, meaning the ceus have not been satisfied. This means the nurse is not cleared to continue to practice as a nurse and must take a leave of absence or suspension from all work duties until the ceus are completed and the state board of nursing issues an active status to the license. In some states this can take time. California, for instance has a reputation for taking weeks to process nursing licenses and even longer to process those with issues. How to go from Inactive to Active? Upon receipt of the new active license, the nurse can resume practice. Each state will have a similar process available from the State BON. This can be a very costly experience, not only because of additional fees involved, but also not being able to work as a nurse until the issue is resolved. Each nursing license has an expiration date. In some states this may be the nurse’s birthday or the last day of the month following, the anniversary of passing the NCLEX, or the last day of a specific month for all nurses in that state. Each state has their own system. It’s not a secret and nurses need to be well aware of when their license expires. It’s printed on the current license whether that is a digital format or a paper license. Planning ahead and being organized can drastically reduce the stress renewing a license can cause. Payment should be made well in advance for the license fee and ceus should be completed by this time as well. Most states have a specific time frame such as no sooner than three months prior to the renewal date. In many states this can all be handled online or through the mail if so desired. Remember to allow extra time if using the postal services. Make copies of payments and checks along with any receipts provided. These serve as proof of renewal should the paperwork be lost in the process. For nurses with multistate Compact Licenses, it is important to know and follow the rules to renew and maintain this licensure. Some states require specific continuing education courses such as workplace violence, mandated reporting of child abuse (PA), biohazard training, conflict management, HIV/AIDS, opioid addiction, state laws and rules (FL), etc. These courses might only be available through employers or from the state BON. Some may also be available from ceu vendors. This information is available through the NCSBN. Nurses are expected to stay up to date with any changes in nursing regulations for the state(s) in which they are licensed and practice. Other states have no specific requirements other than a specific number of ceus necessary to renew. Continuing education for nurses is expected to keep nurses up to date on new trends, new knowledge and techniques. The opportunity should be used to enhance the nurse’s skills and abilities. Is retaking the NCLEX a possibility? 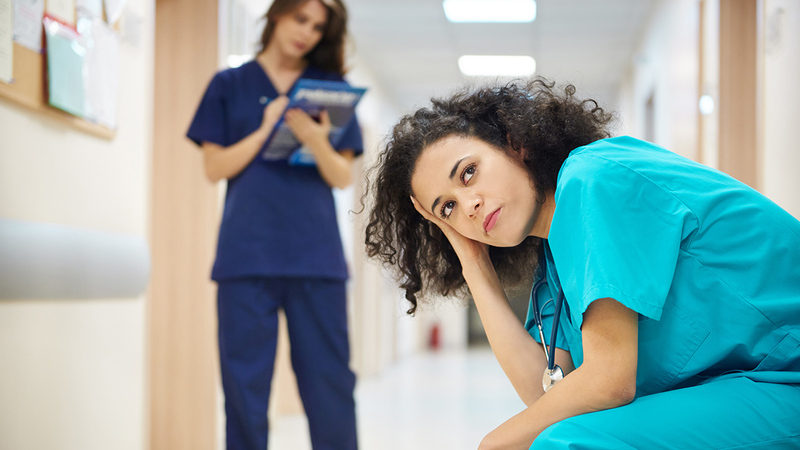 In the event a nurse allows a license to lapse for an extended period of time or chooses to opt for retired status, states have requirements to take hospital refresher courses, bring ceus up to date and/or they may even require the nurse to retake the NCLEX. The vast majority of nurses do not ever want to retake the NCLEX! It’s simple to avoid this by maintaining an active nursing license. In 2009, the Great Recession forced many Baby Boomer nurses to come out of retirement or stay in the workforce because of the significant financial downturn. Ten years later, uncertainties are again rocking the financial world. Many of those same nurses have not yet been able to retire, and more nurses will join them in this dilemma. Maintaining a license a few years longer may outweigh the consequences.